Bottom Line: If you are looking for a high-end, specialized sports wristwatch then maybe you should consider a Suunto, SLCentral reviewed the X6HRT, it was robust with an impressive array of features. Suunto has always been a brand associated with high-end, specialized sports wristwatches. 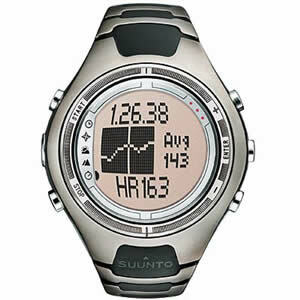 With a product line that includes diving, golf, and sailing computers, Suunto has over the years established a diverse but unique following amongst hi-tech sports afocionados and exercise gurus. But in addition to its specialty watches, Suunto also produces several lines of "Wristop Computers" geared towards a broader customer base: endurance and outdoors-oriented athletes. One of these product lines is the X6 series to which the watch we will be taking a look at today belongs. That watch is the X6HRT, the flagship of the X6HR series (which essentially is an X6 with extended features and a heart rate function).